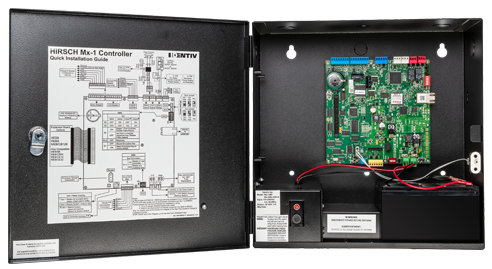 Identiv’s Hirsch Mx-1-ME (Metal Enclosure) Controller manages a single fully supervised door for controlled entry and exit at the edge, and is protected by a metal enclosure with battery backup and power supply. Power at the edge, protected by metal. 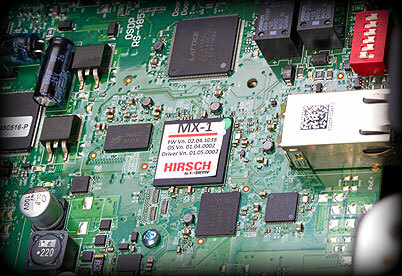 Hirsch Mx-1-ME levels up Identiv’s award-winning controllers. Identiv’s Hirsch Mx and Mx-1 are in good company with Mx-1-ME — the new model adds a metal enclosure, battery backup, and power supply to edge access controller. The modular design and scalable architecture enable an installation to start small and grow large, from a single controller system to a larger, multi-site enterprise. With firmware, functionality, and communication protocols compatible to DIGI*TRAC and Mx Controllers, Mx-1-ME seamlessly integrates with existing systems, retaining credentials, readers, and user databases. Designed for use with the latest Hirsch Velocity Software, uTrust TS Readers and secure keypads, Mx-1-ME adds network edge capability to the Identiv enterprise security management ecosystem.